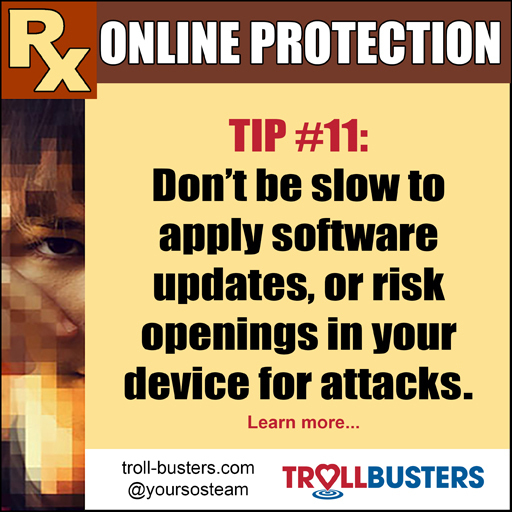 Whether you’re on your phone, your laptop, your tablet, or a desktop computer, there’s never a convenient time to install patches and updates. It’s easy to continue blowing this off. While you may not want to set everything up to update automatically, try not to put it off forever, either. Making sure you’ve got the newest software updates and bug fixes is an effective way to mitigate security risks and ideally patch up vulnerabilities before anyone can exploit them on your devices.